The last time I had anything to do with Greeks was at the movies. Our youth camp at West Beach went to see My Big Fat Greek Wedding, and I know a number of you have seen the movie. Not that Toula, a thirty-something single needs reminding. Day after boring day she toils in her family’s Greek diner, her lank hair falling around her face, her body hidden in a sack-cloth dress. One day Prince Charming walks into the diner – a handsome, sensitive, artsy guy named Ian. Does Ian sound like a Greek to you? That’s the problem. Toula falls in love with a non-Greek man. Eventually a date is set, however, for this clash of the cultures wedding. Ian’s uppity parents writhe in embarrassment as they arrive at Toula’s get-acquainted party. Amidst modest suburban homes is Toula’s house, a miniature version of the Parthenon with Corinthian columns, statues and, horror of horrors, a lamb roast on the front lawn. By the movies end, both cultures are able to move beyond their suspicions to form a new family. But you just never know what’s going to happen when the Greeks arrive. Greeks. That’s who arrive at Passover in our Gospel lesson today. Technically, the word refers to Toula’s kin – people of Greek descent, language and culture – but by the time of the Caesars, Greeks meant anyone influence by Greek culture. To pious Jews, the word ‘Greek’ meant the rest of the world. ‘Please wait right here,’ Philip says, ‘I’ll get right back to you.’ Philip casually turns the corner and does a Matt Shirvington to Andrew. Apparently so undecided about what to do with the Greeks, they take their request to Jesus. At this points, we’re not entirely sure about what Jesus will say about these outsiders. Life had been so simple and tidy to this point. All of the disciples were true-blue Jewish. They spoke the same language, ate unleavened bread, swapped the same fish stories, lived in the same towns, and owned the same history. That’s everyone else in the world from the South to North Poles. Will the Gospel include them? Philip confers with Andrew. Neither is sure what to do about the Greeks, so in the best Uniting Church tradition, they form a committee of two and approach Jesus about the problem. But let’s ask why do these Greeks approach Philip in the first place? You’d think that Peter was the man to get past. Or James. Or John. John is silent of course, so we don’t know. But did you know that Philip is a Greek name meaning ‘lover of horses’? Andrew is also a Greek name meaning ‘manly’. Philip and Andrew’s names suggest a Greek-bridge to Jesus. 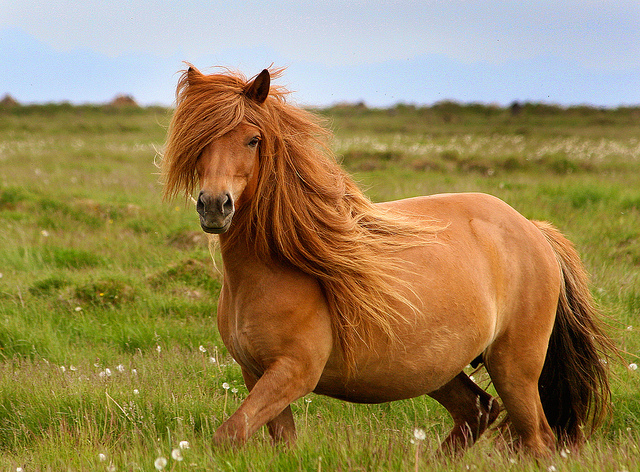 At any rate, ‘Lover of Horses’ gallops off to ‘Manly’ and together they go to Jesus, lover of souls. I wonder how this story might have gone if Peter had been in charge of security on that day? ‘A little far from the Acropolis aren’t we boys? What? You want to meet Jesus? Well, ours is an exclusive group, see? Better keep moving. No vacancy here.’ This episode probably wouldn’t have made it into the Gospel at all. Peter and Greeks would have mixed about as well as Ian and Toula’s parents! Just like oil and water. But what is so astonishing about this story is that Philip and Andrew are unsure of Jesus’ policy towards the Greeks. Maybe this is a boundary issue story. A Church boundary issue. After all, there must be a limit to whom Jesus is inviting into our groups. So they wonder and so go to Jesus with this request from the Greeks to meet with Jesus. Greeks for us could mean anyone outside our church community. If we say that Greeks are anyone who is clearly different from us then first of all, who are the Greeks for us? Older or younger people? Asian, African, Aboriginal or Iraqi people? Do they wear jeans and sneakers? Body jewellery? Do they worship Eminem or Christina Aguilera more than Jesus? Do they sing ‘I Care 4 U’ better than ‘Amazing Grace’? Are they more familiar with Personal Investor than the New International Version? With Gloria Jeans than the bread and cup? I love the way that some churches welcome people who are different. We had two lesbians at Golden Grove Uniting in the late 1990s and all welcomed them, loved them, included them, worshipped with them, and had morning tea with them. We were available in love to help them if they wanted assistance in thinking Biblically about sexual practice, but we weren’t sought out to that end. Eventually their life circumstances changed and they moved on. But they came as Greeks to Jesus interrupting the present order. Sometimes I have challenging baptisms, and we do our best to make people welcome, and we try to get them to come and have a cuppa with us after church, and sometimes they do. The church does so well in welcoming people, and I encourage you all to continue to do that so no people are left to themselves over morning tea. In that rare powerful moment something connects deeply and passionately within Jesus. For the mere mention of the Greeks triggers one of the greatest speeches in favour of blowing open every closed and locked door that the church owns. The interruption becomes a revelation. Is the Lord interrupting us at the moment, tapping us on the shoulder and saying ‘Remember the Greeks’? Are we experiencing any interruptions of grace that turns us in prayer and love towards a world in desperate need? A young and successful executive was travelling down a neighbourhood street, going a bit too fast in hs new Jaguar. He was watching for kids darting out from between parked cars and slowed down when he though he saw something. 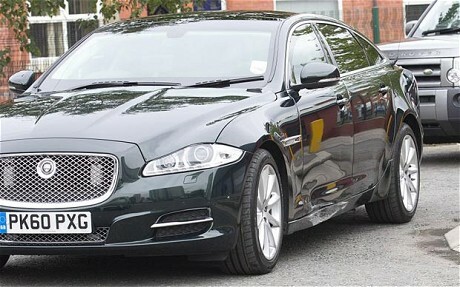 As his car passed, no children appeared, instead a brick smashed into the Jag’s side door! He slammed on the brakes and drove the car back to the spot where the brick had been thrown. The angry driver jumped out of the car, grabbed the nearest kid and pushed him up against a parked car shouting, ‘What was that all about? Who are you? Just what the heck are you doing? That’s a new car and that brick you threw is going to cost a lot of money. Why did you do it? Now sobbing, the boy asked the stunned executive, ‘Would you please help me get him back into his wheelchair? He’s hurt and he’s too heavy for me.’ Moved by the words, the driver tried to swallow the rapidly swelling lump in his throat. He hurriedly lifted the handicapped boy back into the wheelchair, then took out his fancy handkerchief and dabbed at the fresh scrapes and cuts. A quick look told him everything was going to be okay. Whether they be Greeks or anyone else, God whispers into our souls and speaks to our hearts. Sometimes when we don’t have time to listen, he has to throw a brick at us, send someone different like a Greek, so that the seed he sowed can bear harvests in lives beyond ours.